Fifth Vice President of the United States who served under James Madison from 1813 to 1814. He was previously the 9th Governor of Massachusetts from 1810 to 1812. He started out in the Massachusetts legislature, setting up a shadow government opposed to Britain's rule. He is known best for being the namesake of gerrymandering, a process by which electoral districts are drawn with the aim of aiding the party in power. 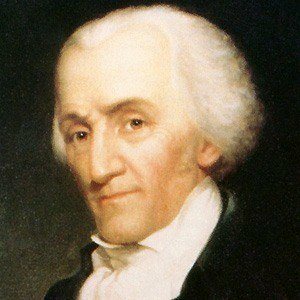 His father was one of the richest men in the 13 Colonies. He ran for governor of Massachusetts after the Revolution, but was defeated by John Hancock.